As parents, we have a duty to prepare our children to live independently in a world where they will interact with many different types of people. To prepare them for adulthood, we must recognize the importance of providing them feedback, both positive and negative (corrective). 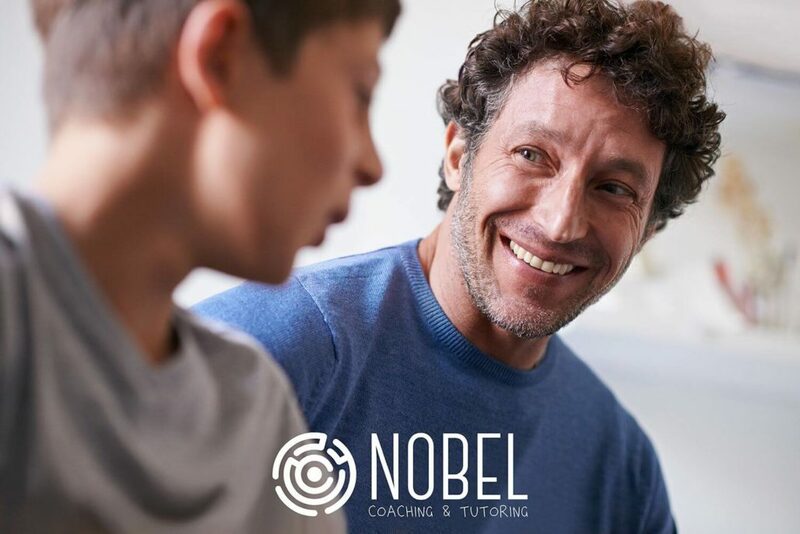 Positive feedback, such as giving compliments, expressing affection, and acknowledging your children’s efforts and successful performances, is important in building their confidence, in helping them learn new skills and in maintaining a close and open relationship with them. Giving constructive, negative feedback is important too, in learning new skills, in learning to respect boundaries and the needs of other people. Feedback is essential for self-improvement and for the personal growth of your children. If you have a teenager at home, you may feel frustrated or worried when faced with certain changes in his/her behavior. The transition from childhood to adulthood is a sensitive and tempestuous period of life marked with questions of self-identity, first heartbreaks, a strong need for peer approval, exploring sexuality, etc. It is a period of discovering new aspects of reality. Sometimes, these aspects include alcohol, drugs, and rebellion against authority. These can all lead to a decreasing interest in education, and, in the worst-case scenario, risky behavior or trouble with authority figures. Parents fear adolescence. As parents, you are aware that your teen must go through the process of discovering the world of adults, but you do not want him to get lost. And often, you do not know what to tell him and how to approach his questions, in order to give him enough freedom, but, at the same time, to protect him from harm. Luckily, there are guiding principles for providing feedback that motivates. In this article, we have gathered our experience from our coaching practice to explain these essential principles and to give parents some examples of how to use them. In our practice, we encounter common dilemmas that we hear from parents and stories of difficulties that many teens face. We have found that these principles are universal and can be applied regardless of the age of your children. From the start, you should constantly consider the demands you make of your children, and make sure that they are realistic. Sometimes, even the best-intentioned parents are too demanding, asking that their children keep tidy rooms, the best test scores in their schools, the best results on their sports teams, and that they always do what their parents ask. Don’t forget that perfection is the enemy of good. Also, teenage rebellion against social norms and authority is normal, and a phase of their development. You should not ignore the boundaries they push, but HOW you react is important. On the other hand, some parents are overprotective or overindulgent, which causes their children, when they grow up, to have difficulties coping with life’s challenges. The demands our children face are constantly changing, with their ages, their temperaments, their capacities, and with the changes society experiences as time progresses. Our children today face different challenges, with peers, social trends, in their schools and communities, more than we did. We should try our hardest to acknowledge this. In our coaching practice, we see so often that parents are too busy in their lives to spend enough quality time with their children. At the same time, they still demand that their child “become somebody and something one day.” In their frustration, they focus their communication with their children solely on criticizing their “bad” behavior. Sometimes, parents’ fears about their children’s bad behavior are self-fulfilling. The child, receiving ever-increasing amounts of criticism, reacts with even more “inappropriate” behavior in a quest to seek attention from the parents (“look at me!”) even if all he will get is negative attention, in the form of criticism and punishment. Sometimes, they see negative attention as better than no attention at all. Children need to be loved and accepted by their parents. It is important to show them a “daily dose” of smiles, warm eye contact, and physical contact, such as touches and hugs. Children need their parents to listen to them and take an interest in their lives. Children need compliments and praise too. In our busy lives, feelings of love and affection between family members often go unspoken. “I love you”, “I am so happy to have you as my daughter/son”, “I like you the way you are”, “I believe in you!” – are strong messages that build the foundation of your child’s stability, self-confidence, and trust. These messages need to be heard over and over. When you praise your children, focus on the positive, and be honest. Remember the old saying that “Beauty is in the eye of the beholder.” You can always find something good and beautiful in another person, whether this relates to that person’s appearance, a certain behavior they exhibit or an accomplishment they achieved. Be specific when offering praise. Compliments need to come from your heart. They have to be genuine and offered sincerely. If not, they lose their power. Messages like these never help. They are always harmful: “You jerk”; “You are crazy”; “You are bad”; “You are so clumsy”; “You are a liar!”, etc. Negative feedback should be designed so that it promotes change and improvement. If you label your child as a bad person, he may begin to think that this is a permanent condition. Offering feedback like this does not help your child learn what he needs to change in order to better himself. Constructive feedback should always serve as a call for changing some concrete behavior. We should point out what concrete behavior bothers us, and make it clear how it is unacceptable. Avoid unrealistic comments like: “You are always late”; “You never do your homework on time”; “You never do what I ask of you”, etc. When giving corrective feedback to children, regardless of age, you should catch them alone. Most people feel humiliated when they are criticized in front of others. Negative feedback should not make somebody feel guilty or ashamed. Instead, this feedback should help your child become aware of his own behavior, correct it and learn. Parents sometimes feel offended or upset, when one of their ground rules is broken, or if inappropriate behavior is repeated, or can cause harm. This happens even more frequently with teens when they exhibit their rebellious or risky behavior. Parents sometimes see teens’ behavior as reckless and disrespectful, and something that needs to be punished. And this is sometimes true. However, this behavior can occur for several reasons, such as strong inner conflicts and pain, insecurity or peer pressure. In these cases, it is important to keep communication open in order to understand what is going on in your teen’s head and heart. Always remember to stay calm and consistent in your discussions with your child. As parents, it is easier to evaluate your rules or determine appropriate consequences when you understand the entire situation. Do you give more positive feedback or negative feedback? Delivering more positive feedback is recommended by the experts. Positive feedback is more powerful, and it helps build healthy relationships. In the end, don’t forget to praise yourself – for everything you do for your children. You also deserve praise for your efforts in working on your parenting skills. That’s why you’re here, right? If you have trouble communicating with your child and you don’t know what to do, don’t hesitate to call us today!